1. This solution is unsupported and it could be broken with new Rollups. 2. This solution does not work for CRM Online. So I decided to solve this task using supported approaches. Andrii, this is brilliant, very well done, thanks! Send me an email, I will reply with attachments. Hi Andri , I need to explorer similar kind of customization required in Opportunity Close that is one of my client requirement …if possible can you share this code with me ? Good idea but I would suggest a simpler way. 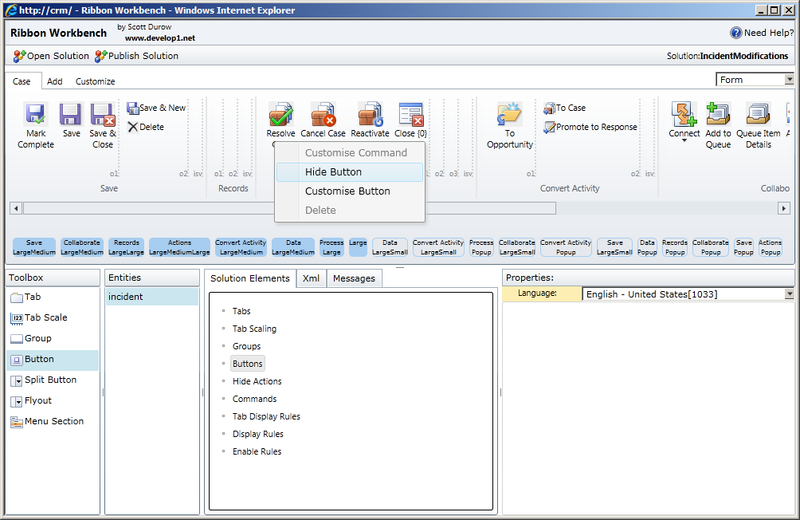 Create a CRM dialog and load that instead of the default dialog when the resolve button is pressed. Thanks! 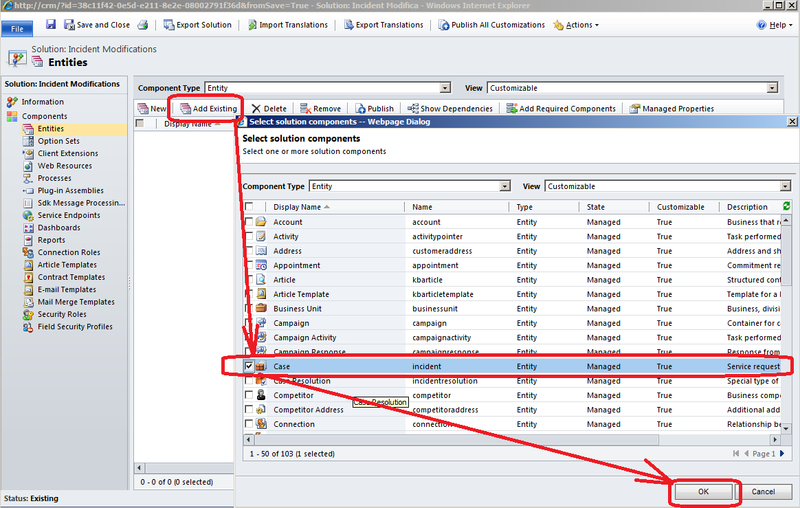 I thought about suggested approach but one thing I was not able to do is dynamically fill optionset with status codes available for incident entity. Do you know how to do that? This is awesome, Great Job Andrii!!! Great Stuff Andrii, I also have same similar requirement related to Opportunity Close. Could you share same code as Sathesh please. Thank you. 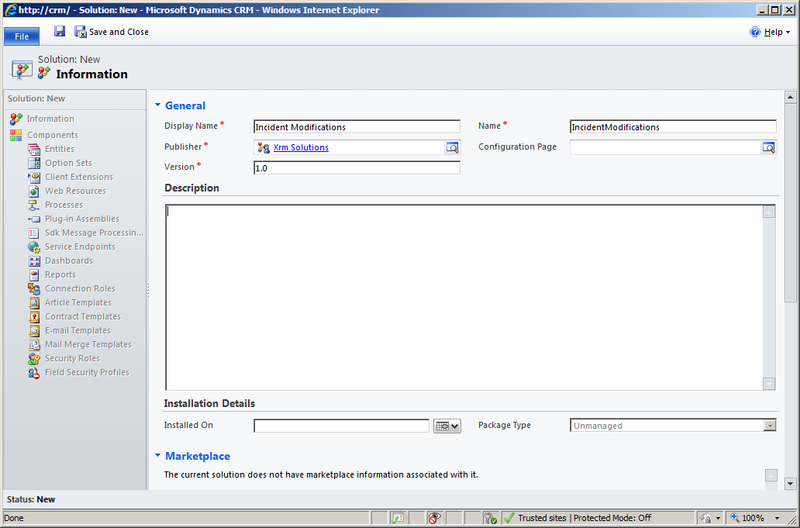 Recheck the end of post – I've put reference to Skydrive where I've stored solution. Do you see it? Thank you very much Andrii..
Not sure doing it dynamically is worth it. Status Codes dont change that often. 1) Check if the list of status codes changed. 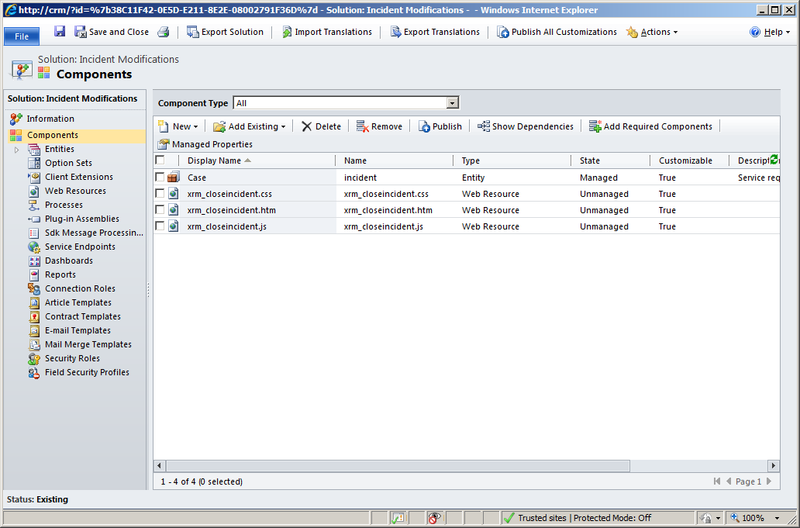 2) If so update a global option set on which your Resolve case Dialog is based. 3) Launch your Resolve Case dialog. If for some reason this behavior is still desired then you would have to add some js code that fires before you load the Dialog and verifys if the list of status codes changed. 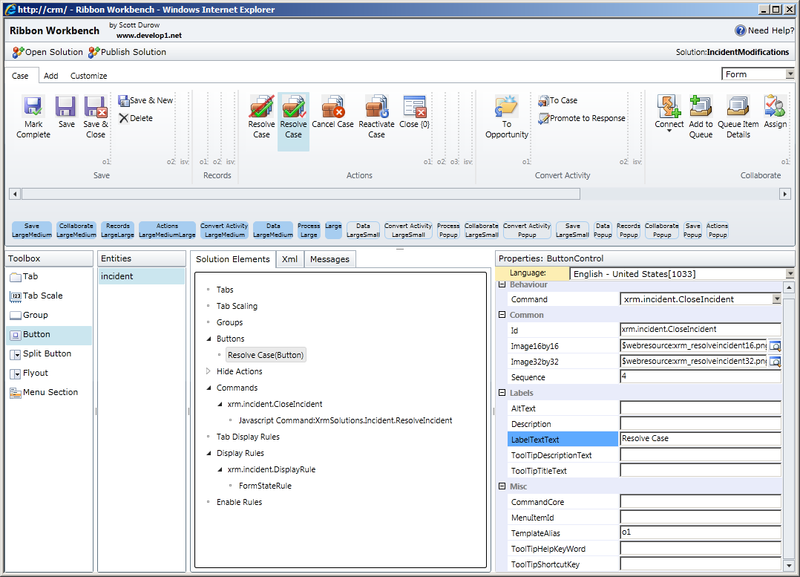 You might also build a Custom Activity Workflow that would update the option set as the first step of your dialog. 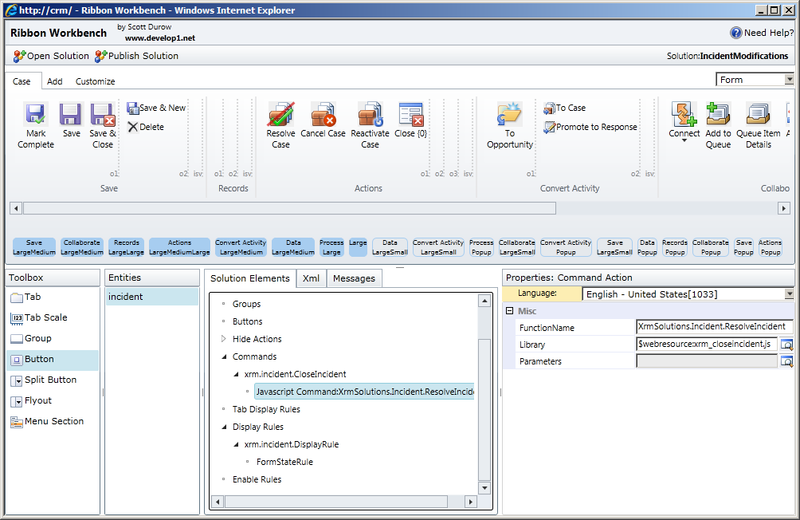 You are right, dialog can be used but If I'm not wrong anyway you would not be able to create incident resolution activity that is created during closing of incident. So you would not be able to close incident with proper fields mapping like description, resolution and so on. Regarding custom workflow activity – at the moment it can be used but closing of incident would be done asynchronously and you will see the result only after some period of time. 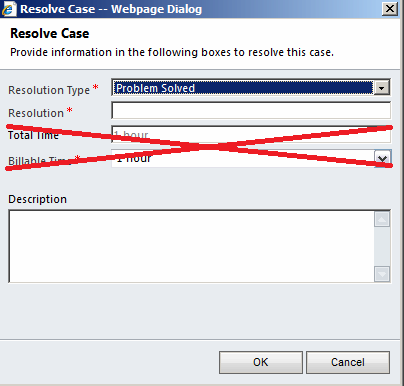 Sometime we do not want the resolve case dialog box itself. 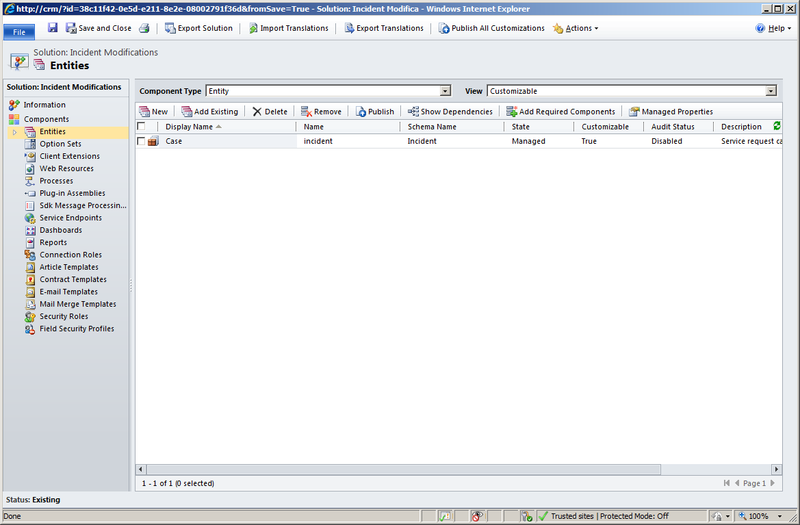 I have written one post on my blog "How can be overwrite the resolve Case System ribbon button functionality?". Your article looks great, but you've used a plugin in your functionality. I believe that task can be completed without this step. I have already done this before and I will publish article soon how to do that. I believe you will come up with better solution. Something original. Love your work. Keep it up. 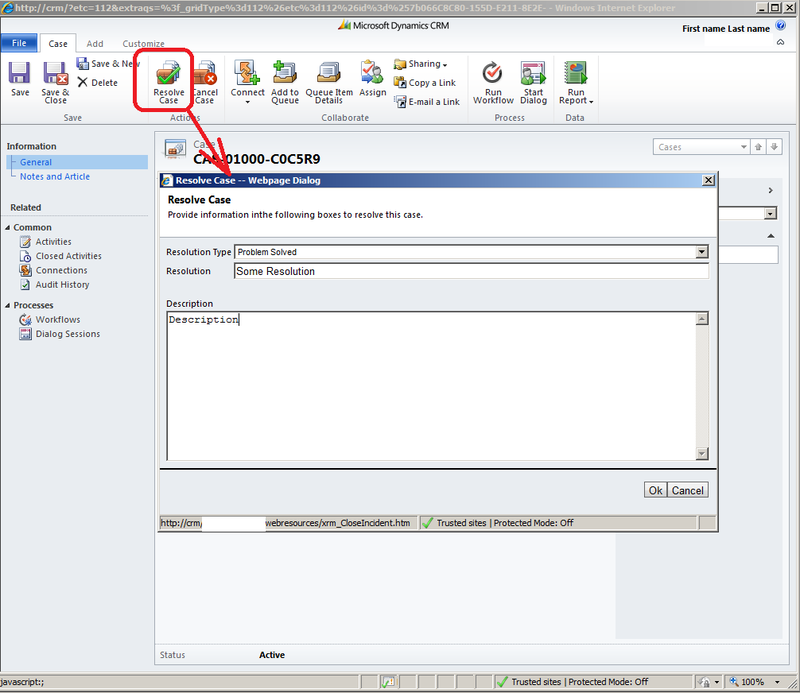 Recheck the bottom of post – it has reference to SkyDrive where you can download source code. hallo, the source code ? Hi! Perfect solution! Please, update link to solution, your one drive url contains only SureStep.exe. Thanks! Thank you, Kirill. Looks like that file is lost and I’m really sorry for that. Can you please send me a copy as well? Please and Thank you! It was a long time ago and I don’t think I have solution files anymore. I believe you came to this post from my reply of Dynamics forum. My goal was to give you waypoints to achieve your goal.